HEARTACHE launched new video "Breaking News"
SLIPKNOT's SHAWN 'CLOWN' CRAHAN To Take Part In 'Underground To Mainstream' Panel At POLLSTAR LIVE! The official lyric video for the song “Right Left Wrong” from THREE DAYS GRACE can be seen below. The track is taken from the Canadian band’s new album, “Outsider”, which will be released on March 9 via RCA. “Outsider” is the sixth full-length album from the band, and is the group’s first since 2015’s “Human”. Forging a new path forward is exactly what the musicians did in the fall of 2016. Instead of congregating in a downtown Toronto rehearsal space, the band which consists of Matt Walst (lead vocals), Barry Stock (lead guitar), Brad Walst (bass) and Neil Sanderson (drums, percussion, keyboards, programming), initially wrote in a converted garage behind Brad‘s house located two hours from the city. 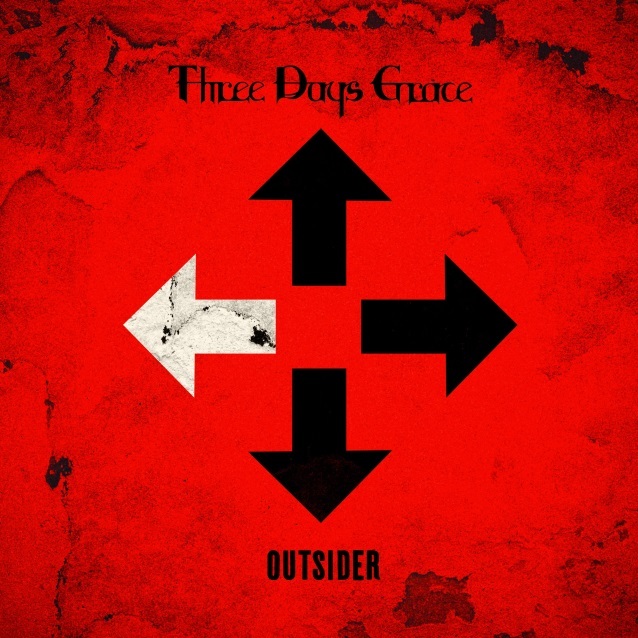 Given this undeniable unpredictability, “Outsider” feels right at home alongside a catalog of fan favorites from THREE DAYS GRACE. Since 2003, the band has staked a spot amongst the hard rock vanguard, breaking records, toppling charts, moving millions of units worldwide, and making history by holding the all-time record for “most #1 singles at Active Rock Radio ever” with 13. In 2015, “Human” marked the group’s second straight #1 slot on the Billboard Top Hard Rock Albums chart as well as their fourth consecutive debut in Top 20 of the Top 200. It spawned two #1 singles “Painkiller” and “I Am Machine”, signaling the band’s 13th overall and fifth consecutive number ones on the Active Rock Radio chart. Moreover, the four-piece consistently averaged a staggering 3.9 million monthly listeners on Spotify — remaining one of the most listened to rock bands in the world.